This system features three distinct product lines in varying thicknesses to accommodate a variety of applications in the most cost-effective manner possible. Our S3000 line integrates with 3-inch thick panels and offers a more economical solution for loadbearing applications with heights up to 17 feet. Our PortaMax line integrates with 5-inch thick panels and can be used for reaching heights over 17 feet, or as a loadbearing wall system. Our Furring line comes in 1/2 and 1/4 inch widths and is used to effectively clad existing block or gypsum walls, drywall studs and columns. The flexibility of the CleanLine system is a result of its post and panel design, which allows for easy expansion or modifications if and when future business needs change. 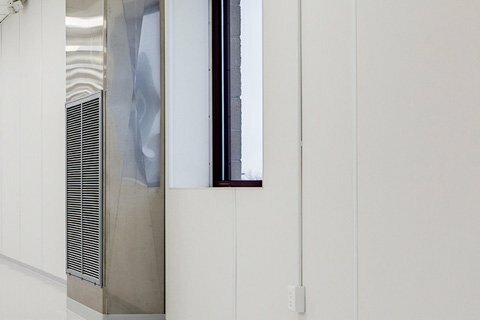 We offer a variety of standard and custom panel options ranging from steel to fiberglass that can easily integrate with the CleanLine system, depending on your specific application or requirements. 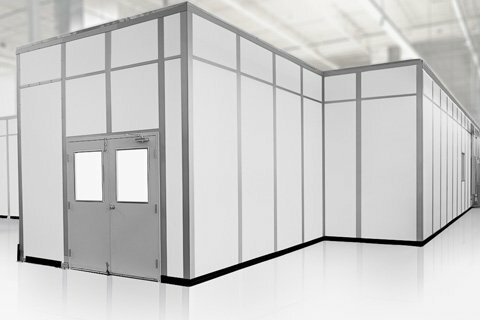 PortaFab's CleanLine wall system offers a simplified solution for cleanroom design and build applications by minimizing design time, reducing costs and offering greater flexibility. 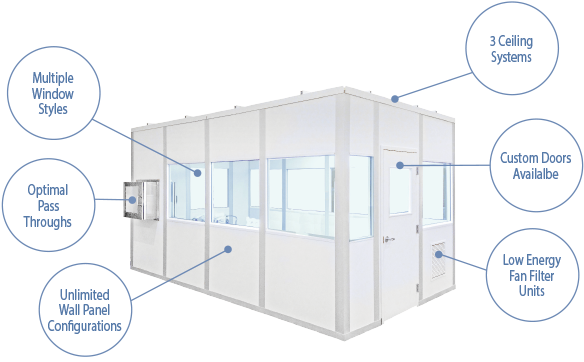 Take advantage of the benefits from using our CleanLine sytem for your next cleanroom design and build project. Get started via the inquiry form below. To help us provide a comprehensive quote, please provide specific information on your project using the fields below. You can also choose to submit the form now by hitting "submit" at the bottom of the page (after filling in the required fields above). 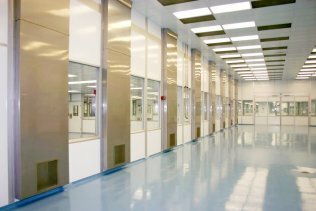 What are the dimensions of the cleanroom? What are the dimensions of the gown room/transition room? If a plenum cap is needed, what is perimeter wall height? Egg crate only or dampers? What is the application of the room?